Do you remember the good ol' days when you never had to worry about closing all of your social media iPhone apps so you didn't drain your battery? Do you remember how glorious it felt to jump in your car and turn up the radio without looking for your car charger first? For those of you who don’t remember, there was a brief time in cell phone history when our phones weren't so “smart" and all we used them for was calling, and if you could afford it, texting. We didn’t spend our job breaks checking our favorite social media apps, or downloading the newest game fads. The only crazy thing we could do on our phones was play "Snake" for two hours straight, and even then, our phones STILL had plenty of battery life for the next day or so. The advancement of faster, clearer, more excelled phones is only going get more sophisticated, so you know what that means - our battery life doesn’t stand a chance! If you have a charger in your room, purse, and car, you may not have much to fear. However, there is a great list of external battery packs for times when an outlet is just not in the cards. These devices only require a USB outlet - that your phone undoubtedly comes with - and you’re good to go for your next conference, wedding, or any other function where you may be found tweeting or playing Ruzzle, instead of paying attention. The Tylt ENERGI provides five extra hours of talk-time with its built in battery. In addition, the myCharge HUB 6000, has been named the “Swiss Army Knives” of portable devices. 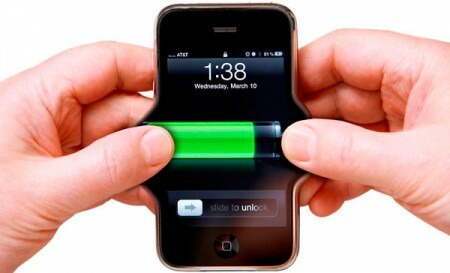 What external battery pack do you think you’ll use to come to your rescue in the near future? Dec 29 Does Libel exist on Twitter?